Healthcare Associated Infections (HAI) are a global concern, further threatened by the increasing drug resistance of HAI-associated pathogens. The European Centre for Disease Prevention and Control estimates that approximately 4.100.000 patients acquire a healthcare-associated infection in the EU each year. The number of deaths occurring as a direct consequence is estimated to be at least 37.000. Healthcare associated infections account for twice the burden of 31 other infectious diseases. Unsafe care has not only consequences for patients’ health and EU citizens’ trust in healthcare systems, but also a significant impact in our economy. Patient safety is a milestone of quality and safety within healthcare, the absolute precondition for preventing errors and adverse events. Since its inception in 1978, Cittadinanzattiva Onlus has worked continuously to advocate for safer healthcare, first at National level and then also at EU level through its international branch, called Active Citizenship Network (ACN). In 2002, in particular, together with patient associations of 15 Countries, it was drafted the European Charter of Patients' Rights that underlines, among the others, the Patients’ Right to preventive measures, the Patients’ Right to the observance of quality standards, the Patients’ Right to safety, the Patients’ Right to Innovation. The initiative is in line with an approach aimed to guarantee continuity and not just spot initiatives on Patient safety and healthcare-associated infections (HAIs). 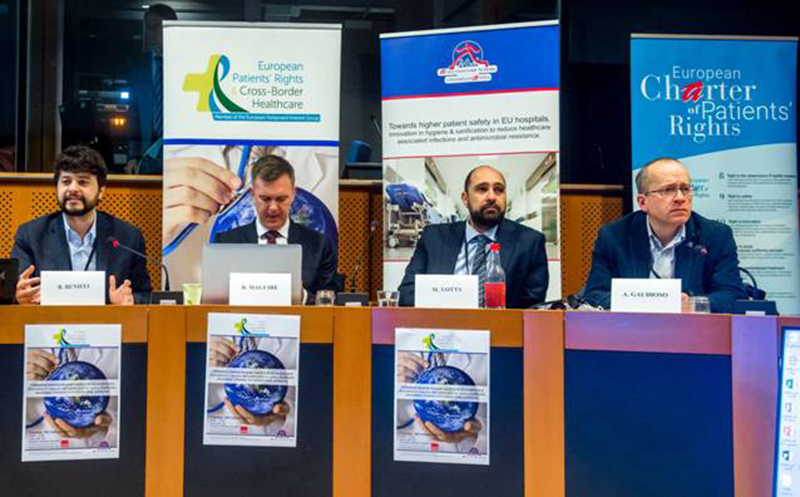 Active Citizenship Network is glad to realize this activity to improve the access to a safer healthcare, raising awareness among patient associations, advocacy groups and EU Institutions. To know more about the Cittadinanzattiva - Active Citizenship Network's commitment on this issue over the years, please click here.